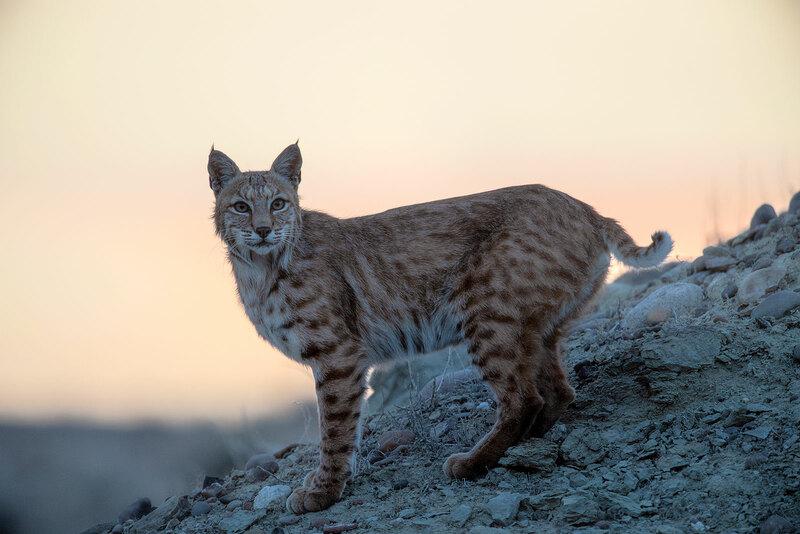 A female bobcat pauses on a ridgeline at sunset. In early June, she was raising three kittens with the Green River riverine and sagebrush habitats providing a buffet for the bobcat family. Photo © copyright by Dave Showalter.